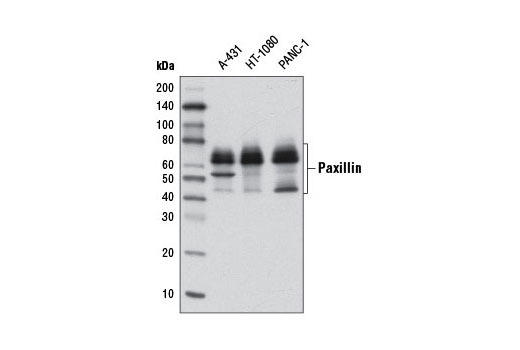 Paxillin (D9G12) Rabbit mAb recognizes endogenous levels of total paxillin protein. The antibody recognizes all isoforms of human paxillin. Monoclonal antibody is produced by immunizing animals with a synthetic peptide corresponding to residues surrounding Lys193 of human paxillin protein.